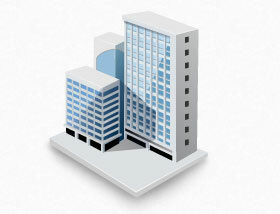 Intervid’s building management systems reduces labour and energy use while enhancing occupant convenience and safety. Well-designed BMS systems increase overall building efficiency and reduce costs within the organisation. Well-designed Building Management Systems control a wide variety of building site components including HVAC, lighting, fire detection, energy usage, CCTV video surveillance and access control.